What does my results text message mean? Please note that any urgent or very abnormal results that are received by the Practice are passed to a Clinician and will be communicated directly to you. Your text message notification reads: "Your test results are back and are normal. No further action is needed at this point. For more information on test results see http://www.rpcclaycross.co.uk/page1_form.aspx?p=1"
Results filed as NORMAL are just that! The values for blood tests or the report if it’s a swab, x-ray or scan fit within the expected ranges for normal healthy people. Your text message notification reads: "Your test results are back and have been reviewed by a Clinician. They are satisfactory which means they may show some slight variations from normal BUT THIS IS NOTHING TO WORRY ABOUT. No further action is needed at this point. For more information on test results see http://www.rpcclaycross.co.uk/page1_form.aspx?p=1"
Results filed as SATISFACTORY may be very slightly above or below normal values for blood tests or in the case of scans and x-rays have very slight variations in how things should look. However in the context of the overall clinical picture they can be regarded as normal. They do not require further tests or discussion. Your text message notification reads: "Your test results are back and a repeat test is required. Please contact the surgery on <insert number> to arrange a repeat test. For more information on test results see http://www.rpcclaycross.co.uk/page1_form.aspx?p=1"
Sometimes it is necessary to repeat a test, reasons for this include laboratory equipment failure, an unsuitable sample or suspicion that the test result is “spurious” this means that the result is so far out of kilter that it is likely to be wrong (it is well recognised that even the best laboratory equipment can produce random odd results). Your text message notification reads: "Your test result is back and it is recommended you make an appointment in the next 3 weeks with a GP or ANP to discuss the result. Please contact the surgery on 01246 748000 to arrange a repeat test. 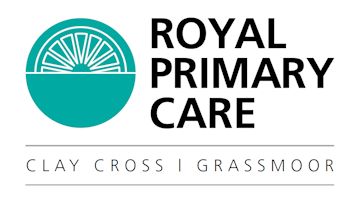 For more information on test results see http://www.rpcclaycross.co.uk/page1_form.aspx?p=1"
Your results are back and have been reviewed by one of our Clinicians (GP, ANP or Practice Nurse) who has decided that it is best for you to come and discuss the results. This does not necessarily mean that there is something to worry about; it may mean that the Clinician who requested your tests in the first place wants to see you, it may mean that there are further tests that could be useful or it may mean that the tests have found the cause of your problem. Your text message notification reads: "Your test result is back and it is recommended you make an appointment in the next 3 weeks with a Practice Nurse. Please contact the surgery on 01246 748000 to arrange a repeat test. For more information on test results see http://www.rpcclaycross.co.uk/page1_form.aspx?p=1"
Your results are back and have been reviewed by one of our Clinicians (GP, ANP or Practice Nurse) who has decided that it is best for you to come and discuss the results. This does not necessarily mean that there is something to worry about; it usually means that the results are related to a long term condition that you may already have (such as diabetes or high blood pressure) and that we need to improve the control and treatment of that condition.